The Government yesterday successfully concluded its 10 year Sovereign Bond to raise $ 1.5 billion with the issue drawing over $ 11 billion in demand worldwide enabling an attractive pricing. 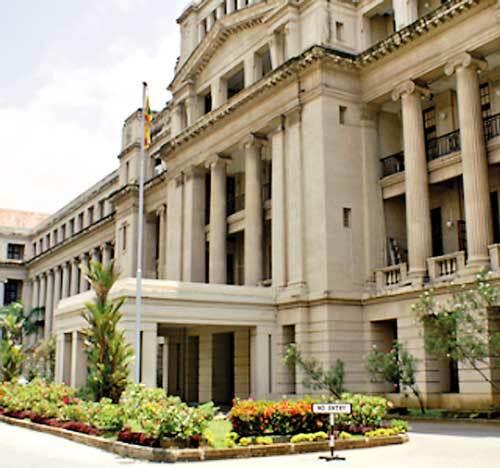 The Central Bank in a statement said that it, on behalf of the Government of Sri Lanka (GoSL), successfully priced a new $1.5 billion 10-year International Sovereign Bond (Bonds) on 4 May 4, 2017. The bonds have been rated ‘B1’, ‘B+’ and ‘B+' by Moody's Investors Service, Standard and Poor’s and Fitch Ratings respectively. through the years. Citigroup, CITIC CLSA Securities, Deutsche Bank, HSBC, ICBC International, J.P.
also coincided with the International Monetary Fund staff-level agreement that was released a day before on 3 May, 2017. 4 May, 2017, and saw strong interests from a wide range of high quality investors, allowing Sri Lanka to tighten final price guidance to 6.250% area (+/-5 basis points) at the Asia evening on the back of books which were in excess of $7.5 billion. The bonds eventually priced during New York hours at 6.20% reflecting a 42.5 basis points compression, well inside the initial price guidance for a final transaction size of $1.5 billion. The final order book was in excess of $11 billion, achieving an oversubscription ratio of over 7 times, spread across 500 participating accounts. "This clearly reflects investors' continued confidence in Sri Lanka and their positive outlook on the Sri Lankan economic growth story," the Central Bank said. Further, compared to the 2016 spread between US Treasury 10 year yield and 10 year Sri Lanka bonds yield, 2017 spread has substantially declined indicating a reduction in the risk premium demanded by the investors, it added. banks, 5% to insurance and pension funds, and the remaining 3% to other investors. ​The Government has raised a further $285.18 million via the issuance of Sri Lanka Development Bonds (SLDBs) of different tenure and at fixed and floating rates. The Central Bank accepted $89.75 million on a 4 year 10 months floating rate option, $70 million at a 1 year fixed rate, $62.15 million on 1 year 10 months floating option, $44.28 on 2 year 10 months floating and $19 million on 1 year floating. Total bids received were $497.85 million with majority ($ 427 million) coming for floating options. The Weighted Average Fixed Rate was 426.57 basis points and Weighted Average Margin (bps) over a 6-month LIBOR (floating) ranged from 254.79 and 412.06.